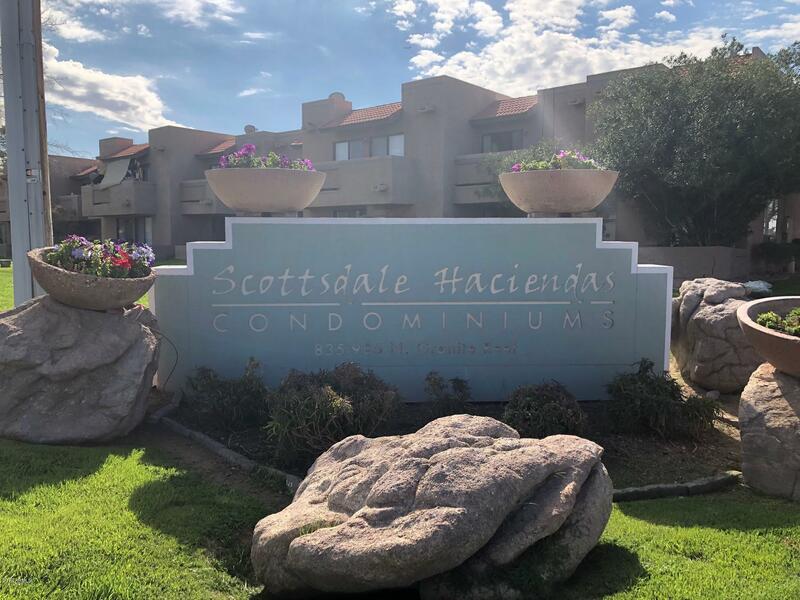 All SCOTTSDALE HACIENDAS COND homes currently listed for sale in Scottsdale as of 04/25/2019 are shown below. You can change the search criteria at any time by pressing the 'Change Search' button below. "Welcomet Home! Beautifully renovated 2 bedroom, 2 bath condo in sought after S. Scottsdale. All new laminate wood floors throughout entire house, new interior paint to include all doors, baseboards and trim. Elegant granite counters in the kitchen and both bathrooms. Maple raised panel cabinets and black appliances included. Community is very well kept and includes 2 pools one that is heated year round with a heated spa. Pet friendly dog park with lush grass and doggie sack stations. Your own pr"